In business since 1962, we have provided offset and letterpress design, print & bindery services to our commercial clients. We’ve recently moved to a larger, brand new facility in Millville, NJ. Further, we upgraded equipment and expanded capabilities to better serve our customers. 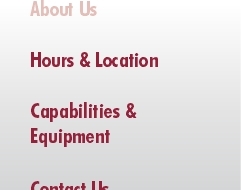 Explore our website and see how we provide greater value to you!